In Houston, one of the most historically significant cultural institutions that has remained a crown jewel and relevant fixture for over seven decades in Houston’s historic Fifth Ward community has been the Julia C. Hester House. The Hester House has been enhancing the quality of life for the residents of Fifth Ward and the surrounding community through programs and services promoting self-empowerment. The legacy of the Hester House began in the early 1900s, when Julia C. Hester, a local school teacher, and her husband, A.Z., decided to open their Fifth Ward home to neighborhood youth. Although they had no children of their own, Hester and her husband decided to use their influence as leaders in the Fifth Ward community to provide a safe and nurturing place for all youth in the community. Their home quickly became a central gathering place in Fifth Ward. After her passing in 1940, and in her honor, a diverse committee led by attorney William M. Ryan, the first President of the Board of Directors, decided to establish the Julia C. Hester House to honor Ms. Hester for her contributions and dedication to youth. 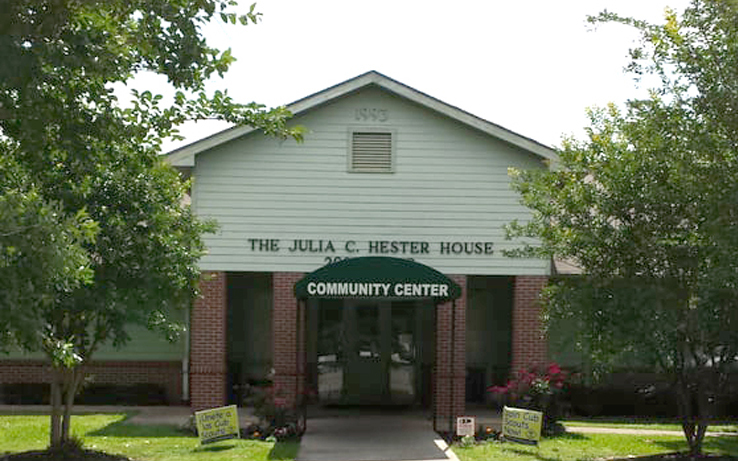 The Julia C. Hester House community center opened its doors in late 1943 with funding from the Houston Community Chest and Council, which would later become the United Way of Houston. The year 1944 marked the Julia C. Hester House’s first full year of service. The Hester House was originally located at 3605 Lyons Avenue, but after a city-wide campaign to construct expanded facilities, a new building was opened in 1949 at the present location, 2020 Solo Street, on land donated by Mr. and Mrs. S.M. McAshan, Jr.
Fast forward to 2019, and the Julia C. Hester House continues to build on its legacy in the Fifth Ward community, with dynamic programming and vital services that meet the diverse needs of its ever-growing community. In honor of their decades of service to the Fifth Ward community, the Julia C. Hester House will be celebrating its 75th anniversary with a Community Jubilee Festival on Saturday, March 23 from 11 a.m. to 3 p.m. at 2020 Solo Street. Hester House serves the Fifth Ward community in the same spirit in which it opened its doors, by continuing to be an anchor for families, youth, and seniors. In honor of the milestone anniversary, Discovery Green has partnered with Hester House to offer a performance by the world-renowned Cirque Zuma Zuma – a family-friendly, high-energy show with pulsing African music performed by talented young acrobats from African nations, which will be free to the community and begin at noon. “Discovery Green is excited about bringing world-class entertainment to the Fifth Ward community for this momentous occasion,” explains Barry Mandel, Discovery Green President & Park Director. This partnership with Hester House is the first event that is part of Discovery Green’s initiative to expand programming outside its downtown location. Harris County Precinct One Commissioner Rodney Ellis is also one of the primary sponsors of the jubilee. Harris County Precinct One partners with Hester House to provide youth, adult, and senior programming and social services that include life skills, financial literacy, and employment and educational assistance. Related to the programs offered, the Hester House provides inspiring year-round activities for children ages 4-12. During the school year, students participate in after school programs. In the summer months, youth enroll in summer camp. 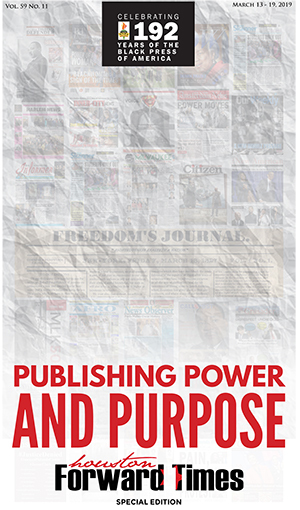 Hester House focuses on transformative activities that promote self-sufficiency. 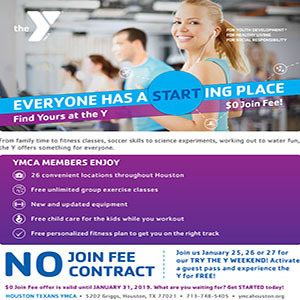 Their partners include the Harris County Street Olympics, Perfect Team Play, the Boy Scouts of America, the Harris County Aquatics Program, Texas AgriLife Extension Services, the Traveling Naturalist, and Discovery Camp. They provide the following services for youth: Homework help; Literacy enrichment; Healthy snacks & fitness; Learn to Swim; Chess Club; Character Development; Fine Arts (Music Lessons & Drama); Boy Scouts; and Girls on the Run. The Hester House empowers seniors to live independently, and they celebrate their contributions to their history by providing critical services for the elderly in a community-based environment, and by promoting health and nutrition, social activities and interaction, recreation, and supportive services. Through offering assistance to seniors with their basic needs, they strive for positive lifestyle changes with structured and entertaining activities that promote physical and mental wellness, with services such as: Physical fitness; Field trips; Devotional services; Birthday recognitions; Intercultural celebrations; Arts and crafts; Intergenerational activities; and complimentary daily transportation. The Hester House also provides other important services to the community, such as life skills, financial literacy, employment assistance, and educational assistance. They provide programs that address immediate client needs while also assessing the root causes that impact the client’s ability to maintain and achieve self-sufficiency. They help clients through intake, assessments, information referrals, development of personal goals and objectives, monitoring, and evaluation and they also address basic and urgent needs for clients in exceptional situations, such as: Case Management; Job Search Assistance; Resume Assistance; ESL Class; ESL Conversation Class Computer Lab; and Financial Literacy. For more information on the Julia C. Hester House, please visit their website at www.juliachesterhouse.org.